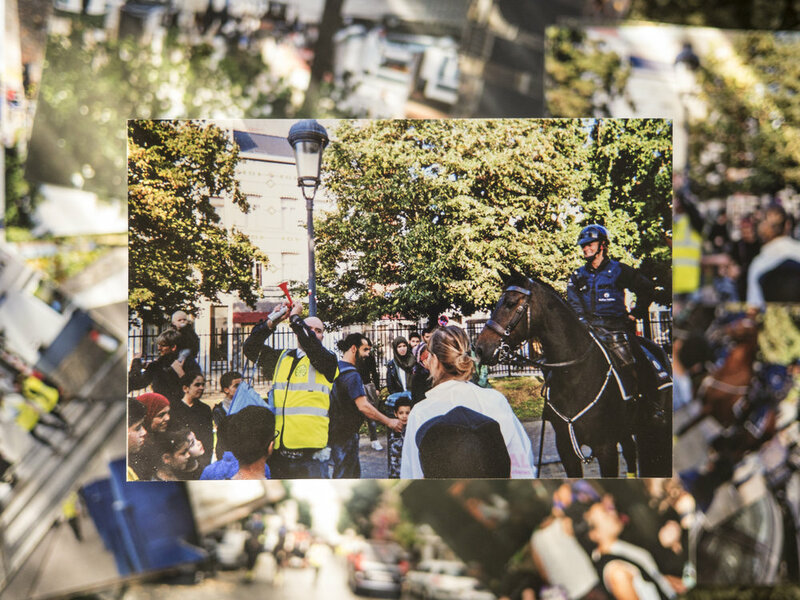 In 2017 Eero Yli-Vakkuri performed together with the Trans-Horse group at the Signal #6 festival (organised by CIFAS) in Brussels and collaborated with the Belgian Federal Police Mounted Unit. Image courtesy of the artist. For the past five years, the focus of Eero Yli-Vakkuri’s artistic practice has been on horses. More specifically, he has collaborated with the Mounted Police Units in both Brussels and Helsinki. The work produced in the process taps into posthumanist concerns and aims to understand the point of view of this intelligent animal. Yli-Vakkuri started working with horses as part of the Trans-Horse group, which connected the cities of Turku and Helsinki in Finland (distance ~100 miles) on horseback and made a movie out of the experience. After the riding exposition the Trans-Horse group has participated in exhibitions, prepared performances for festivals and focused on developing a creative horse-pedagogical program. The actions of the group seek to include horses and other animals into humans’ visions of the future. Their work is advocating the development of ethical infrastructure. In an effort to understand how horses habit the city, Yli-Vakkuri started to work with the Mounted Police Unit in Helsinki in 2016, followed by an invitation to perform at the Signal #6 festival in Brussels, Belgium. The festival context provided the Trans-Horse group the possibility to collaborate with the Belgian Federal Police Mounted Unit. The artists organized a series of events with the police officers in which audiences learned about horse handling and posthumanism. Workshops were organised for children in a public park, and visitors were given the opportunity to see and test the armor horses wear in crowd control situations, alongside hearing about horse grooming rituals. The artists also organised a Trans-Horse Taxi, which worked like Über: people could hop on and listen to presentations by art historians. Trans-Horse’s work for Signal #6 festival ended in a 20-horse parade joined by the police, horse-carriages, and local riders. 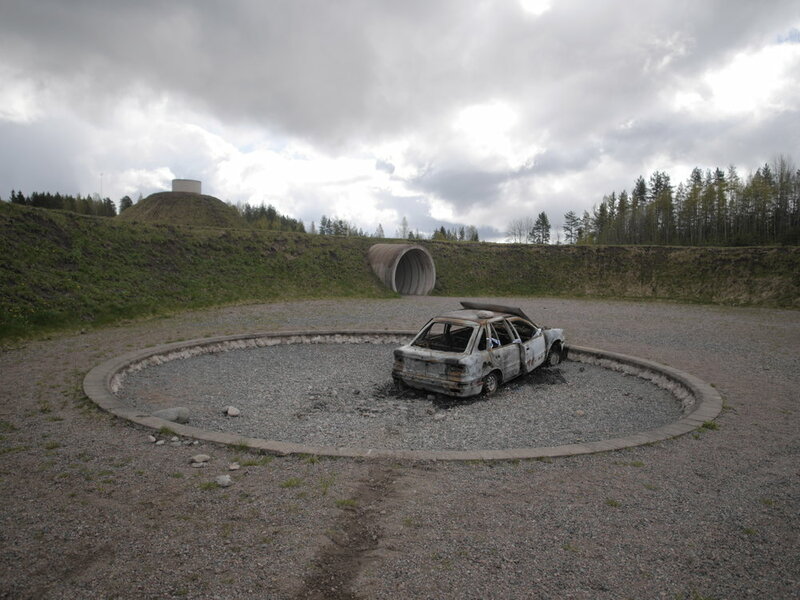 In 2013 Eero Yli-Vakkuri served as an Environmental and Land Art conservator restoring the works of Nancy Holt and Agnes Denes in Pinsiö (pictured). In New York he'll continue exploring how conservation efforts effect land art. Image courtesy of the artist.